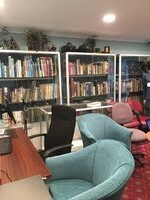 The Leongatha RSL's Rod Cameron Resource Centre has a wide range of books available for borrowing by Leongatha RSL members. A number of displays are also available for viewing throughout our club. These displays are of donated objects from current and ex service men and woman and their families.